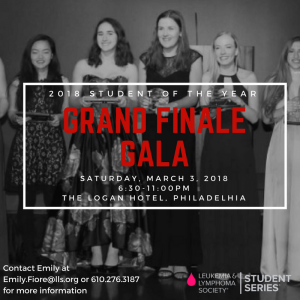 I’m both honored and excited to have been asked to speak at this year’s Leukemia & Lymphoma Society Student of the Year Grand Finale Gala. Many of you know my story and my ties to this great organization. Looking forward to a terrific evening. This entry was posted in leukemia & lymphoma society, motivation and tagged leukemia & lymphoma society, Lls, student of the year. Bookmark the permalink. Both comments and trackbacks are currently closed.